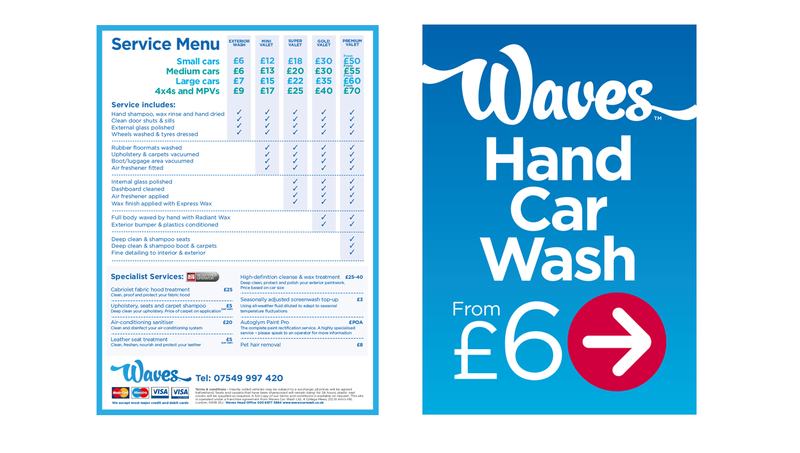 Waves supplies hand car wash and valeting services to supermarkets, property owners, retailers and car park operators across the UK. 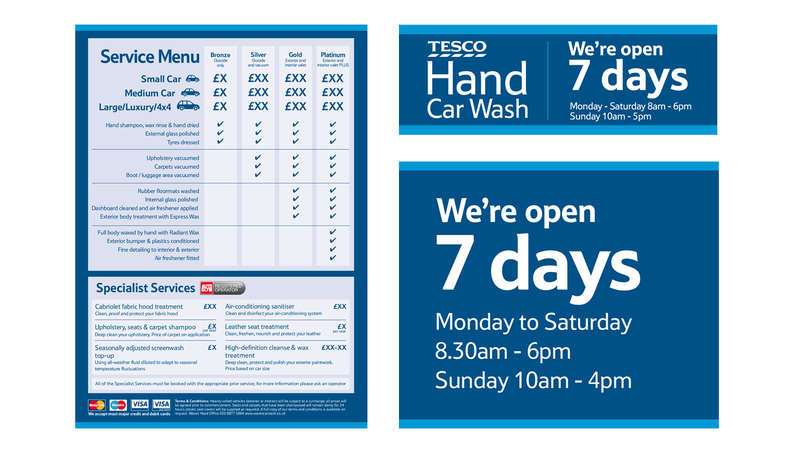 We design and produce large format signage and wayfinding for Waves and Tesco Hand Car Washes. 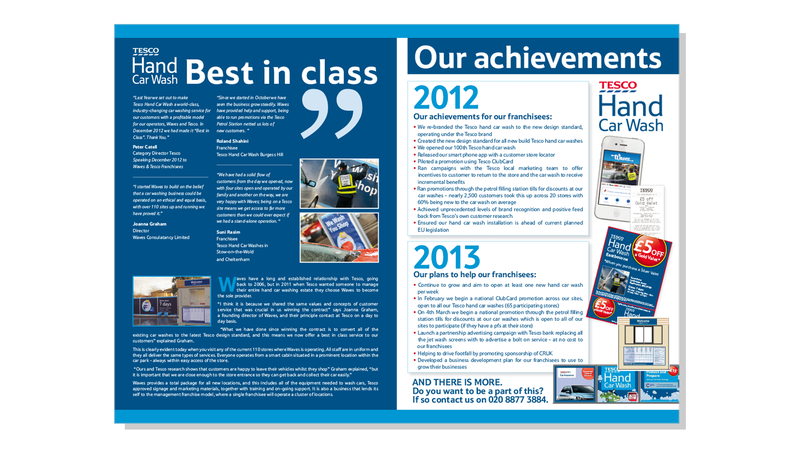 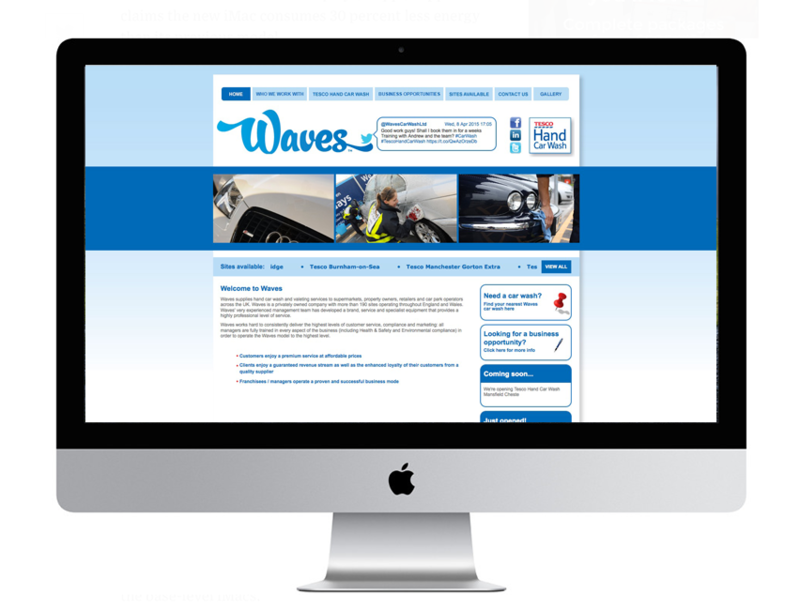 Print, advertising and website design in keeping with the Waves/Tesco branding. 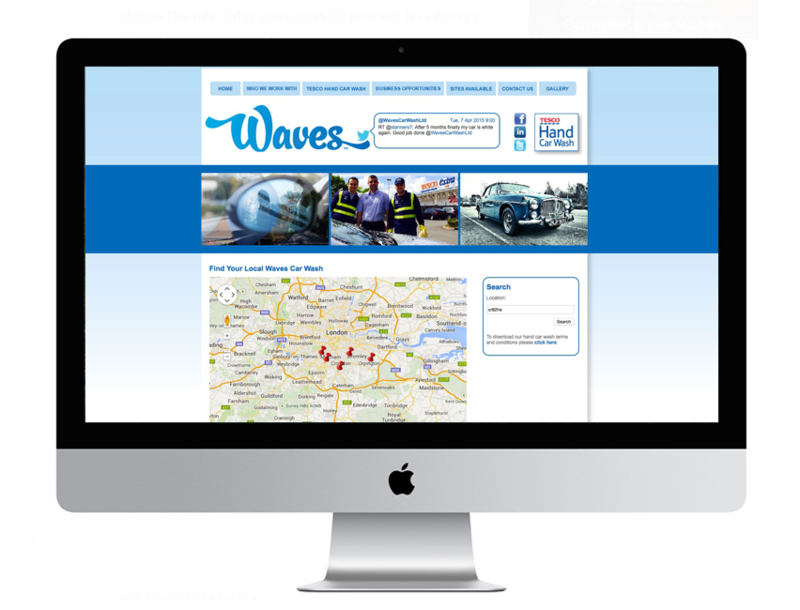 Waves have more than 240 sites throughout the UK and deliver a high standard of service, reflected in their commitment to good design and marketing for their franchisees.